This novel about the isolation & loneliness of lighthouse keeping in the late 1890's is mesmerizing. This is the story of how Mrs. Swann (Trudy) begins teaching the 4 Crawley children in this remote location and then goes on to become a virtual self taught marine biologist. Brooding, haunting, with a mystery thrown in--this is just one heck of a satisfying read. In 1898, a woman forsakes the comfort of home and family for a love that takes her to a remote lighthouse on the wild coast of California. What she finds at the edge of the earth, hidden between the sea and the fog, will change her life irrevocably. Trudy, who can argue Kant over dinner and play a respectable portion of Mozart’s Serenade in G major, has been raised to marry her childhood friend and assume a life of bourgeois comfort in Milwaukee. She knows she should be pleased, but she’s restless instead, yearning for something she lacks even the vocabulary to articulate. When she falls in love with enigmatic and ambitious Oskar, she believes she’s found her escape from the banality of her preordained life. But escape turns out to be more fraught than Trudy had imagined. Alienated from family and friends, the couple moves across the country to take a job at a lighthouse at Point Lucia, California—an unnervingly isolated outcropping, trapped between the ocean and hundreds of miles of inaccessible wilderness. There they meet the light station’s only inhabitants—the formidable and guarded Crawleys. In this unfamiliar place, Trudy will find that nothing is as she might have predicted, especially after she discovers what hides among the rocks. Gorgeously detailed, swiftly paced, and anchored in the dramatic geography of the remote and eternally mesmerizing Big Sur, The Edge of the Earth is a magical story of secrets and self-transformation, ruses and rebirths. Christina Schwarz, celebrated for her rich evocation of place and vivid, unpredictable characters, has spun another haunting and unforgettable tale. 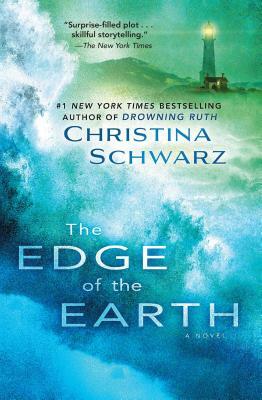 Christina Schwarz is the author of five novels, including The Edge of the Earth and the Oprah Book Club selection Drowning Ruth. Born and raised in rural Wisconsin, she lives in southern California. "The Edge of the Earth invites us into the lives of a young married couple in the late nineteenth century drawn to a lighthouse above the forbidding cliffs of Point Lucia, California – an isolated spot filled with marine life that few have seen before and, perhaps, a mermaid. But there are human secrets too - and as you learn what they are, you will almost hear the crashing waves. Inhale deeply – you are there, caught in the roiling energy of passion, regret, discovery – and, always, the sea. A gripping story." "Christina Schwarz's gift of detail makes the characters leap off the page and her expert handling of suspense allows for a cliffhanger ending that you won't see coming. I loved this book!" "On a lighthouse off the northern California coast, a young woman discovers her husband’s true nature—and her own—in Schwarz’s latest thoughtful exploration of family ties." "In her impressive fourth novel, Schwarz illuminates the different lives led by lighthouse keepers in the late 1890’s…a compelling period story." “A wonderful story and a deep meditation on the meaning of work and knowledge. It’s also a compelling imagining of its time and place, making it a good choice for lovers of historical fiction." “Told in brilliant detail, this is a memorable tale of an uncommon woman who embarks on the road less traveled…a haunting story."